Tottenham take a narrow advantage to Stamford Bridge, after winning 1-0 at Wembley. 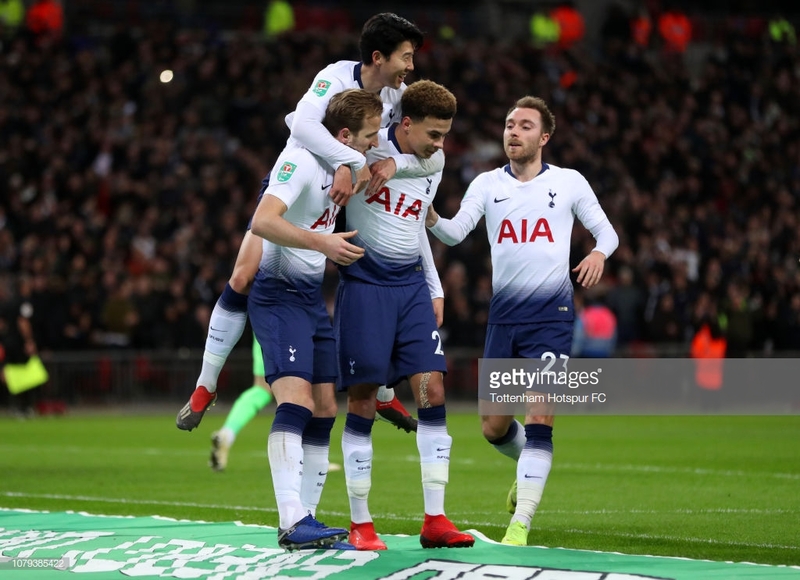 A first half, Harry Kane penalty was enough to give Spurs victory against Chelsea and a give them narrow advantage going into the second leg of this Carabao Cup clash. Both sides made an energetic start to the game. The first real chance of the game was almost a spectacular opener from Kane. Kieran Trippier floats a ball into the box and Kane tries an overhead kick but the shot is well held by Kepa. Chelsea first chance came from Callum Hudson-Odoi, down the right. The winger cut inside and hit a driven shot at goal which as the second attempt was held by Paulo Gazzaniga. 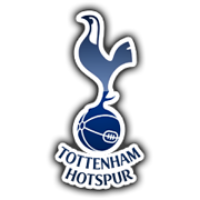 Spurs' system of playing out from the back was becoming more of an issue as Chelsea were narrowing down their options at every opportunity. Another Chelsea chance on 20 minutes, as Eden Hazard found space at the top of the Tottenham box but his curling effort was well saved by Gazzaniga. Spurs really struggled to get into their groove in the opening stages and really struggled to create any clear cut chances. Spurs did take the lead however in the 26th minute, thanks to VAR. Kane was sent over the top and was brought down by Kepa. However the linesman did eventually flag for offside and the move was stopped. VAR was called in to play and overturned the on pitch ruling. Kane smashed the resulting spot kick into the bottom corner of the net to give Spurs the lead. The final pass is let Spurs down in the closing stages of the first half. They continually got into attacking areas of the pitch but failed every time to find a man in the box. Chelsea had an excellent chance to equalise, five minutes before the break, as Marcos Alonso swung in a brilliant low cross into the box and N'Golo Kante met it on the half-volley but his effort hit the post and went behind. Chelsea were almost level with pretty much the last kick of the first half through Hudson-Odoi. The starlet did wonderful work down the right and his cross almost looped over Gazzaniga, but the Argentine stopper did excellently to tip it onto the post and luckily Spurs were able to clear. Tottenham had the best chance in the opening moments of the second period. After some intricate passing, Kane found a yard of space and let fly, Kepa though was able to get down well to push it out for a corner. Two quickfire, Chelsea chances. The first from Hazard which was straight down Gazzaniga's throat. The second from Kante whose effort was well saved by the Argentine and cleared by Toby Alderweireld. A golden opportunity fell Andreas Christensen's way from a corner kick. The ball was flicked onto the Dane, who was unmarked at the back post but, was unable to hit the target. 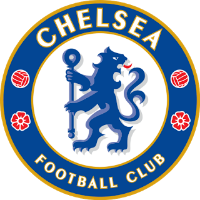 The home crowd were right behind their team who were well under the cosh for a good while in the second half, as Chelsea pressed for the equaliser. Chelsea maintained a lot of possession throughout the second half and really stopped Spurs from breaking out and creating a single chance. Olivier Giroud was brought on with just over 10 minutes to go and the Chelsea's attacking emphasis did not really change though. Spurs saw the game out with ease and their lead never really looked in any danger. Hudson-Odoi showed tonight why he is sought after by Bayern Munich. The youngster looked dangerous all evening and was a threat on both flanks . Whether he stays at Chelsea or does leave for the Bundesliga giants, he could be on the same career trajectory as Jadon Sancho. If he does stay at Chelsea and continue to develop, you can see his asking price tripling in the summer. Paulo Gazzaniga: Spurs' Future No.1? Being the club's appointed cup keeper Paulo Gazzaniga has risen to the challenge superbly. The Argentine stopper was excellent in the previous round against Arsenal and is fast becoming a fans favourite. Hugo Lloris is now getting up there in age and making a few more mistakes than we have seen in previous years could we be seeing Tottenham's future number 1 in the making. Chelsea on the balance of play were the much better side on the night but they did really struggle to get past Spurs defence. Chelsea sides of the past, were ruthless in their attack and scored goals for fun. Chelsea created a lot of chances at Wembley but were lack luster in front of goal. Maurizio Sarri may have to dip further into the transfer market this January and bolster his attacking options. A possibly unconventional pick for Man of the Match, however the Argentine was incredible between the sticks. Gazzaniga made several key saves throughout the game to keep Spurs' lead intact. At no point did he look fazed by the occasion and dealt with every single ball into the box and pot shot superbly.